KABUL -- Iran is attempting to stoke fear and instigate a "religious war" in Afghanistan as a way to attract young Shia Muslims to join the Fatemiyoun Division, former officials warn. 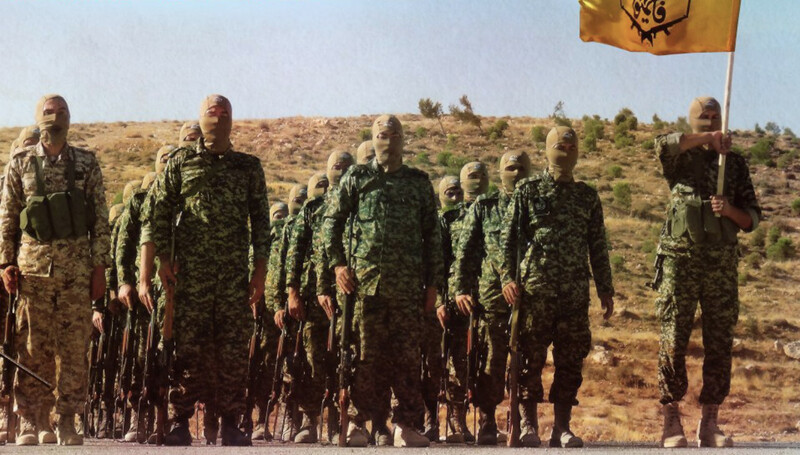 The Fatemiyoun Division, a ragtag unit of Iran's Islamic Revolutionary Guard Corps (IRGC) made up of Shia Afghans, fights for Iran and its clients, including the Syrian regime. "Through its infiltrators, including individuals and institutions that sympathise with its intelligence services and are disguised as cultural entities and pilgrimage companies, Iran is attracting young people to join the Fatemiyoun Division," said Ajmal Baluchzada, former deputy director of information analysis at the National Directorate of Security. "These young individuals then come to Kabul from other provinces, only to be taken to Nimroz and Herat provinces and from there to Iran," he told Salaam Times. "In Iran, these men undergo training and receive equipment before being deployed to fight in the Syrian war." "By fueling fear among the Shia community in Afghanistan, and by launching suicide attacks and explosions in mosques and other religious places, Iran is trying to make it seem that the process of Shia cleansing in Afghanistan by the "Islamic State of Iraq and Syria" (ISIS) has begun," he said. 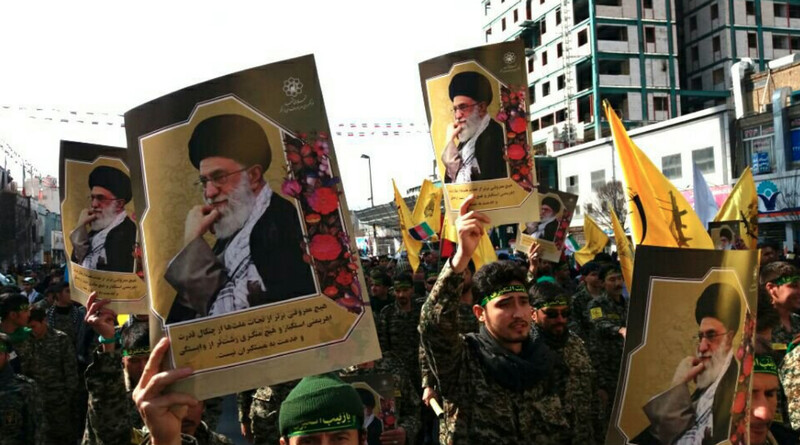 "Under such pretexts, Iran has increased the recruitment of Shia youth in the Fatemiyoun Division." "Iran was involved in the recent battles in Uruzgan and Ghazni provinces and wanted to provoke [Shia] to show that this was a religious and sectarian war," Baluchzada argued. "Meanwhile, Iran wants to interfere in Afghanistan's political and security affairs and tries its best to stir a religious and sectarian war in Afghanistan through any means possible, including supporting various insurgent groups and creating the Fatemiyoun Division," he added. These Fatemiyoun fighters -- should they get out of Syria alive -- pose a potential security threat to Afghanistan, current and former Afghan security officials say. "A large number of brainwashed young Shia Afghans, who have now experienced fighting in wars and violence in Syria, will join the Afghan conflict upon returning to Afghanistan," Arian Sharifi, former director of threat assessment at the Afghan National Security Council, told Salaam Times. "In that case, there will be yet another front opening up: a religious war, which is going to create an extremely dangerous situation for Afghanistan." "The Fatemiyoun Division ... has brought three types of threats into our country: a humanitarian threat to Afghan citizens, especially to the Afghan refugees who are based in Iran; the potential threat to Afghanistan's national security; and its negative impact on Afghanistan's diplomatic relations with other countries," said Sharifi. Gen. Mohammad Radmanesh, a former Defence Ministry spokesman, echoed those warnings. "Afghans who fight in Syria get used to weapons and fighting to the extent that it will harm the country once they return to Afghanistan," he told Salaam Times. "As a military force working for a hostile state, Fatemiyoun Division fighters who return to Afghanistan will pose a major threat to national security," Baluchzada added. Two streams of Afghans have joined the Fatemiyoun Division: most are already living in Iran as migrants or refugees, and a smaller group are inside Afghanistan who have succumbed to Iranian propaganda. "According to our information, a number of immigrant Afghans inside Iran, as well as a number of other Afghans, have been recruited into the Fatemiyoun Division," Sharifi said. "The recruiting centres are located in Bamiyan, Herat, Daikundi, Kabul, and several other provinces." "According to vast information from open and classified sources, a number of Afghans who travel to Iran through pilgrimage tours end up joining the Fatemiyoun Division," he explained. "In 2017, between 14,000 and 21,000 Afghans fought on behalf of Iran in the Syrian, Iraqi and Yemeni conflicts within the ranks of the Fatemiyoun Division," he added. "The same number of individuals is serving now in the Fatemiyoun Division, and there is a possibility that Iran will exploit this large group of experienced youth fighters in Afghanistan." Iran appears to use decommissioned Fatemiyoun fighters in an effort to destabilise the Afghan security and political environment as it already has been doing with IRGC-supported Taliban fighters, say analysts. "By recruiting Afghan youth within the framework of the Fatemiyoun Division, Iran is pursuing two complementary objectives," said Sayed Abdul Karim Hashemi, a Kabul-based political analyst. "The first is to achieve its goals in the region, such as in Syria, Iraq and Yemen, and second, to use them as leverage for serving Iran's interests in future political and military developments in Afghanistan." "Iran trains Fatemiyoun militants and uses them as cannon fodder in order to realise its goals in the Syrian proxy war," he told Salaam Times. "While some of these fighters are killed, others are likely to become fiercer fighters with battlefield experience," Hashemi said. "These experienced fighters will be the ones whom Iran will exploit in Afghanistan's future developments and political games." Afghanistan can learn a lesson from Iran's meddling in Iraq, he said. 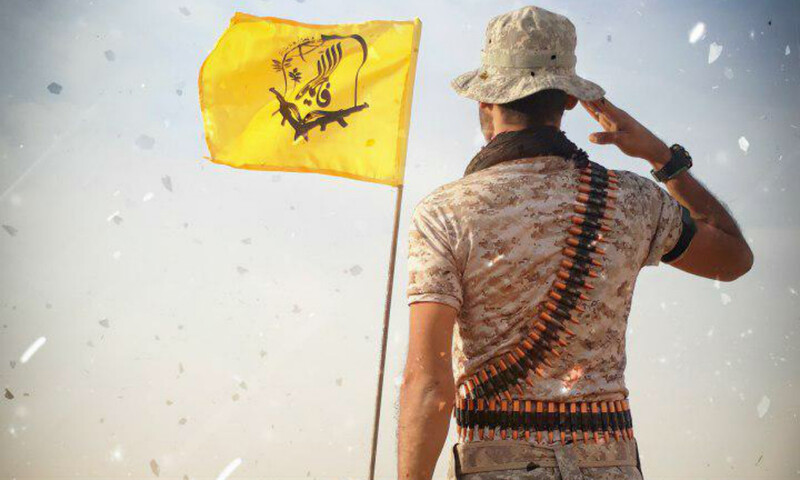 "The Iranian intelligence agencies in Iraq have the experience of targeting and blowing up Shia mosques to provoke and arm the Shia," he said. "This experience is being repeated in Afghanistan, and the Iranians are doing so in order to increase their recruitment of individuals for the Fatemiyoun Division." The IRGC is already propping up elements within the Taliban inside Iran in order to disrupt US interests and development progress in Afghanistan, said Radmanesh, the former Defence Ministry official. "In order to confront the United States, Iran provides these groups with equipment on its own territory," he said. "Some Taliban groups are under military training by the IRGC in such areas as Taftan, Mashhad, Qom and Bandar Abbas, to name a few." "Iran is supporting the Taliban with the goal of challenging ... the United States," Radmanesh said. Iran "has built a corridor from Farah and Nimroz to Helmand provinces and from Helmand to Quetta [in Pakistan]," he said, adding that the IRGC "provides the Taliban with advanced weaponry and equipment". "There are even reports suggesting that Taliban commanders and group leaders are holding their meetings in Mashhad, Iran, at a hotel called Huma," he said. "The Taliban leaders travel with Iranian passports to avoid being identified, and a number of Taliban members reside in various parts of Iran," he added. Then the Afghan government and military must give more help to Shia people. Not so much ignorance like last weeks in Uruzgan and Ghazni. And not such an arrogant behaviour against Hazar people especially from Pashtuns. This is not something new and I am not surprised to the least. All I am reading in this article is just what is going to happen after these people return to Afghanistan. This is the job of Afghan intelligence to make sure no further recruitment is happening as well as investigate every single person who seems potential threat. We need a special task force to tackle the issue or else, it's going to be another bloodbath. ISI is doing a great job in tackling Zainabiyon division who visited Iran Pakistan. Afghan intelligence need to be proactive in deactivating these cells. To be honest, before this we knew about the hypocritic policies of Pakistan in Afghanistan, but we did not know about tricks of Iran's dirty Akhundi regime. Thanks to Salaam Times' news website for giving information about Iran's hypocrisies in Afghanistan. This information may better be published more, and Afghans may get informed about various Iranian destructive policies. As the conflict in Syria winds down, there are concerns that Iran will use the Fatemiyoun Division to realise its political ambitions in Afghanistan and beyond. The new sanctions aim to shut down the illicit networks Iran uses to export terrorism and unrest across the globe, the US Treasury said. The warnings refer to Afghans recruited by the Iran-backed Fatemiyoun Division, which fights on the side of Syrian President Bashar al-Assad and Russia.